Drivers near Hamilton and Ronan can discover some of the highest quality maintenance services along I-90 at Lithia Chrysler Jeep Dodge of Missoula. Our service center technicians can help get you back on the road behind the wheel of your improved car, truck, or SUV with our commitment to customer service and service discounts near you. Dealership-quality maintenance is within reach for drivers looking for quality, cost-effective auto-service when it fits your schedule. Whether you've been coming to our dealership for years or if you're a new driver, you can schedule your next service appointment with us today online. Our service station is complete with the latest factory products, parts, and accessories to handle your routine maintenance and auto repair needs. Whether your new or used Dodge, Jeep, or Chrysler needs a tire rotation, battery check, or brake replacement, our expert service technicians are equipped with the tools needed to keep your vehicle high-performing. Don't have a lot of downtime? Our Express Lane services is your go-to for a quick oil change, inspection, and parts check so you can invest in your vehicle while you're on-the-go. Schedule your next service appointment today to bring your vehicle in to discover the difference dealership maintenance service can make at Chrysler Missoula. Our service techs. can discuss the latest parts and accessories newly available at our dealership as well as how you can save on your next service appointment. What's more: our talented team is ready and able to tackle any task in the most efficient and convenient manner, so you find yourself no longer dreading the perils of auto service. Lithia-backed service offers the peace of mind you've been searching for, from the simplest oil changes to more complex tasks like brake replacement and repair, we are the best option for Hamilton, Kalispell, Helena, and Ronan drivers looking to keep their cars, and wallets, in the best possible shape. To find out more feel free to give us a call at (888) 433-9718 or use our convenient online scheduler to set up your next service appointment. We'll quickly confirm the details of your appointment, and we're on hand to answer any questions that are on your mind prior to your visit. What's more, while here you can enjoy our comfortable amenities and before long you'll be back on the road in a healthier vehicle. If your looking for repair and service for your Chrysler Dodge Jeep RAM or used car in Missoula, we invite you to Litha Chrysler Jeep Dodge of Missoula. 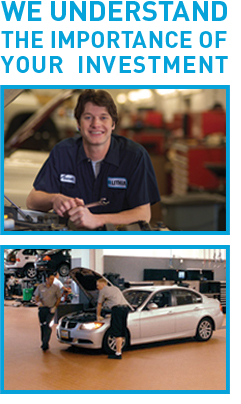 Our dealership offers quality and efficient car service and repair to have you back on the road safely in no time. You can easily schedule an appointment with us by filling out our Missoula area service or auto repair form online. We have expert technicians and mechanics who are ready to assist you with all of your automotive needs in the areas of Hamilton, Kalispell, Helena and Ronan. Also, the Lithia Chrysler Jeep Dodge of Missoula auto parts department can provide you with the parts you need if you enjoy working on your vehicle at home. If your car is in need of repair right away, bring it to 5001 Grizzly Ct and a member of our service staff will assist you. While you wait for the repairs on your vehicle to be completed, we encourage you to explore our new Chrysler, Dodge, Jeep and RAM models and inventory of used cars.